Dubai: A majority of the Arab youth look up to the UAE as a model of growth and prosperity, but remain optimistic about the future of their own countries, according to a survey released yesterday. As many as 40 per cent of respondents to the survey admired the UAE as a model other countries should emulate, while they also preferred it as the place they want to live in. 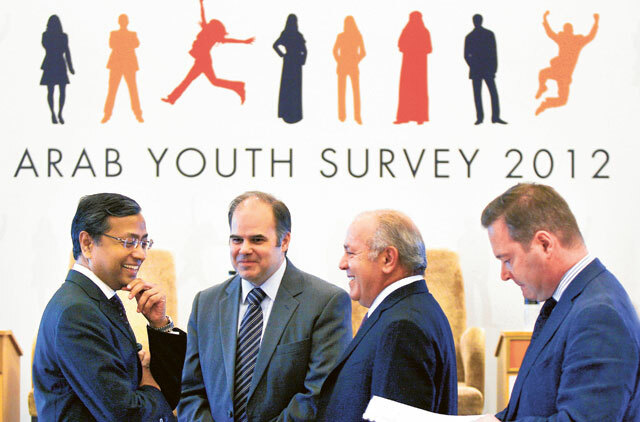 The fourth annual Arab Youth Survey reflects on the changing ground realities in the region with public priorities and preferences changing following the Arab Spring. The study reveals that the youth now are more focused on their personal and economic well-being rather than democracy and greater freedom which used to be top priorities. Fair pay (82 per cent) and home ownership (65 per cent) are top priorities of today's youth as against last year when the respondents preferred democracy and freedom over anything else. Overall, 72 per cent believed the region is better off following the Arab Spring and that the future is bright. However, the youth (63 per cent) are concerned about the rising cost of living. Around 72 per cent of the youth felt that following the Arab Spring governments have become more trustworthy and transparent, while 54 per cent feel corruption in government and public life is hampering their progress. The survey gives great insight into the minds of the youth, generally giving positive feedback, while highlighting concerns like the rising cost of living, corruption, civil unrest and unemployment.